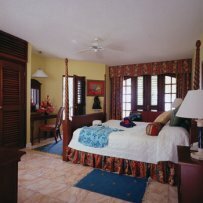 Rendezvous Resort, St Lucia 5.0 out of 5 based on ratings. 1 user reviews. Rendezvous is the first holiday in St. Lucia dedicated to the idea that great couples deserve a special place in the sun they can call their own. On this storybook island, Rendezvous is the storybook escape exclusively for the man and woman who happily choose to share their lives. We provide everything you need to create an idyllic time in an idyllic place. Without the distraction of children or singles or the noisy hubbub of your every-day life putting pressure on the relationship, you find every opportunity to nourish your unique bond. We even liberate you from concern for money because just about everything is included.